Here are a couple of projects I work on. Low powered digital sneakernet library that keeps disconnected classrooms connected. Complete with Open Educational Resources for Agriculture! 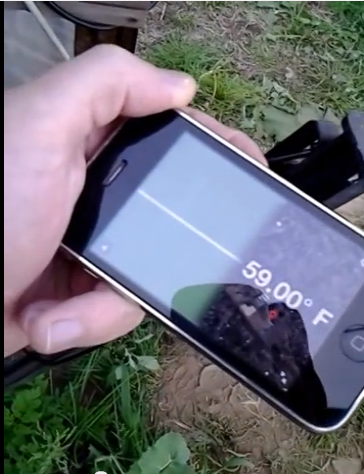 Fido is a farmer-built electronic tool that can monitor greenhouse temperature, record greenhouse data, and alert the farmer to problems in the greenhouse via cell phone text message. The Apitronics Hive a User Interface to the things around you. In particular, things that are based around the Apitronics Bee board but other devices can be integrated with the Hive as well. Louis Thiery ran a successful Kickstarter campaing which allowed me to build out this Hive software. We are a worldwide community of farmers that build and modify our own tools. We share our hacks online and at meet ups because we become better farmers when we work together. 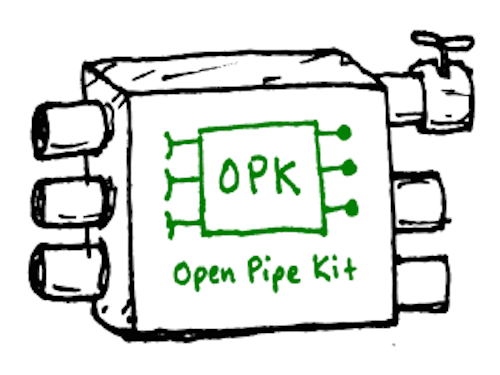 The Open Pipe Kit (OPK) is the missing plumbing between sensors and databases that will empower thousands of data journalists, civic hackers, farmers, etc. to collect data without needing a programmer's assistance or being locked into one data platform from a proprietary turn-key solution. FarmOS is a web-based application for farm management and planning. 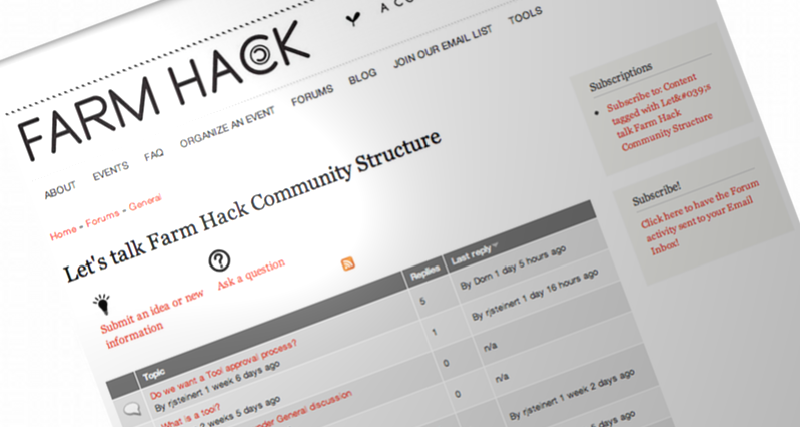 It is built on Drupal, which makes it modular, extensible, and secure. Both Drupal and FarmOS are licensed under the GNU General Public License, which means they are open source. You can host it yourself on your own web server, or you can use Farmier, a FarmOS hosting service. FarmOS is a community wide effort, in particular R.J. is helping with integrating automated data collection for environmental data into FarmOS. With OLE’s open-source Basic e-Learning Library (BeLL), members have access to a treasure trove of free,open educational resources, designed to benefit both literate and pre-literate, young and old, novice and expert learners of different kinds of subjects. 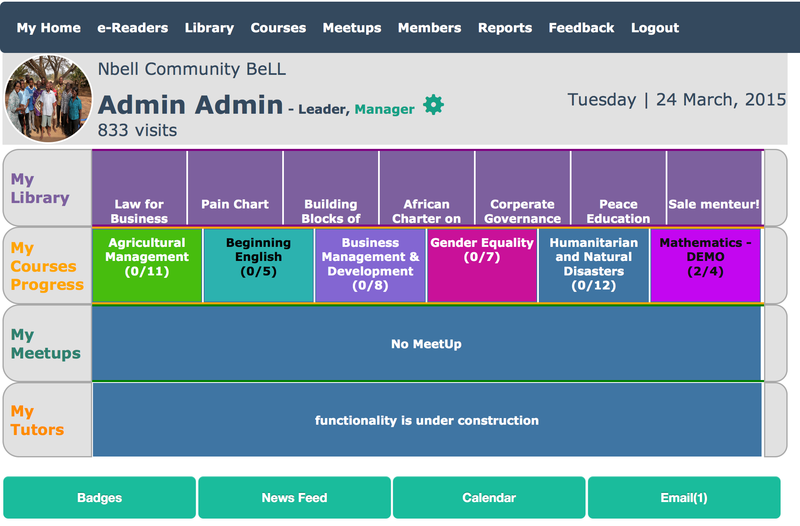 Everyone in the community is encouraged to become an active member of their Community Learning Center by having their own personal dashboard. The BeLL is often deployed to places without Internet or limited Internet access so a sync mechanism has been developed to allow two way communication between the community and the greater Internet. This enables iterative development of educational resources as both feedback and community generated resources sync up to the Internet and new resources are synced down. Is your greenhouse getting frosty? How about too hot today? Is your fridge still on? 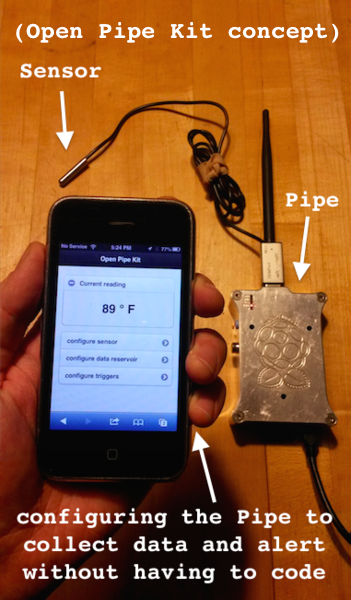 Fido is a temperature alarm that will send you text messages that you can build for under $100. Solder together the Arduino based model or snap together the Raspberry Pi based model.